Launch Java Application from browser. 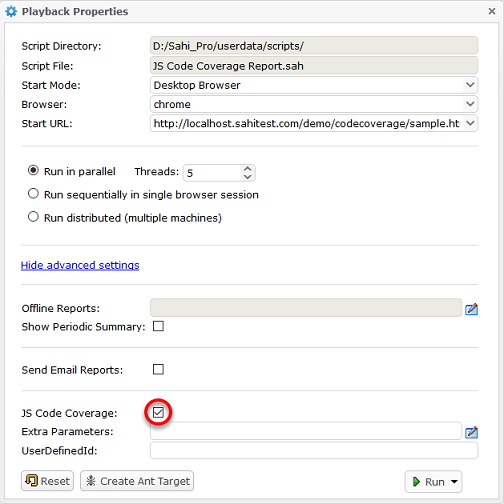 Click on JS Code Coverage Report link on Suite Report and Script Report pages. The report currently displays metrics of Functions and Decision Points covered during script/suite execution. infoIf the percentage of function covered is below 50% then it appears in red colour otherwise it appears in green colour. © Tyto Software Pvt. Ltd.